Char No. 4 | Oh No! Not Another NYC Food Blog! Bustling Southern bar & food in Cobble Hill. 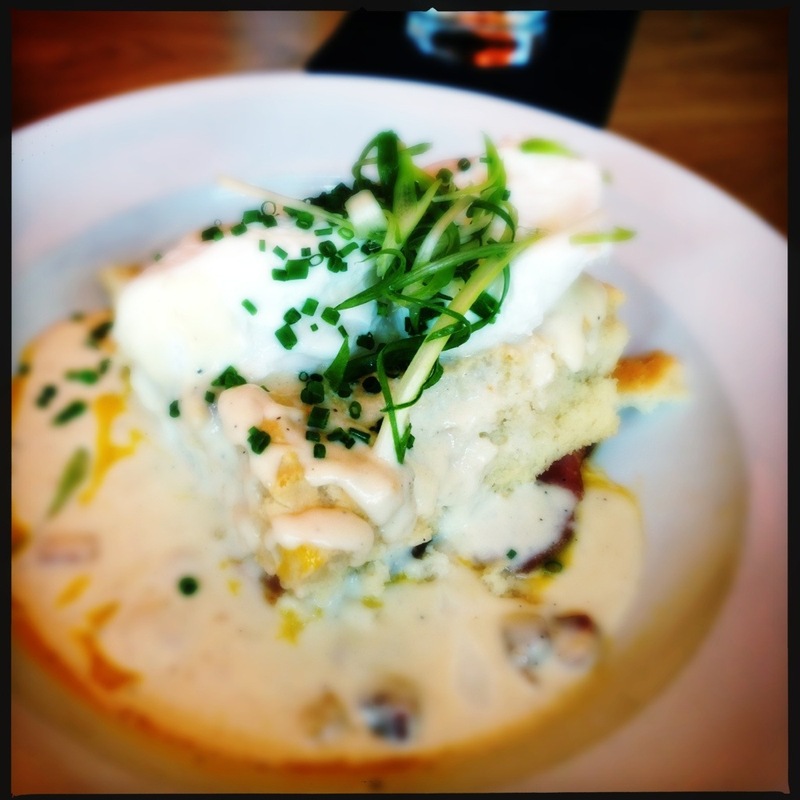 I had the Bacon & Eggs Benedict – biscuits, poached eggs, honey ham, bacon gravy – how can you go wrong? And they didn’t. This dish was heaven in the mouth – rich, with not-too-dense biscuits, luscious egg yolks, and the taste of wonderful bacon. A southern staple gussied up proper for the big city. 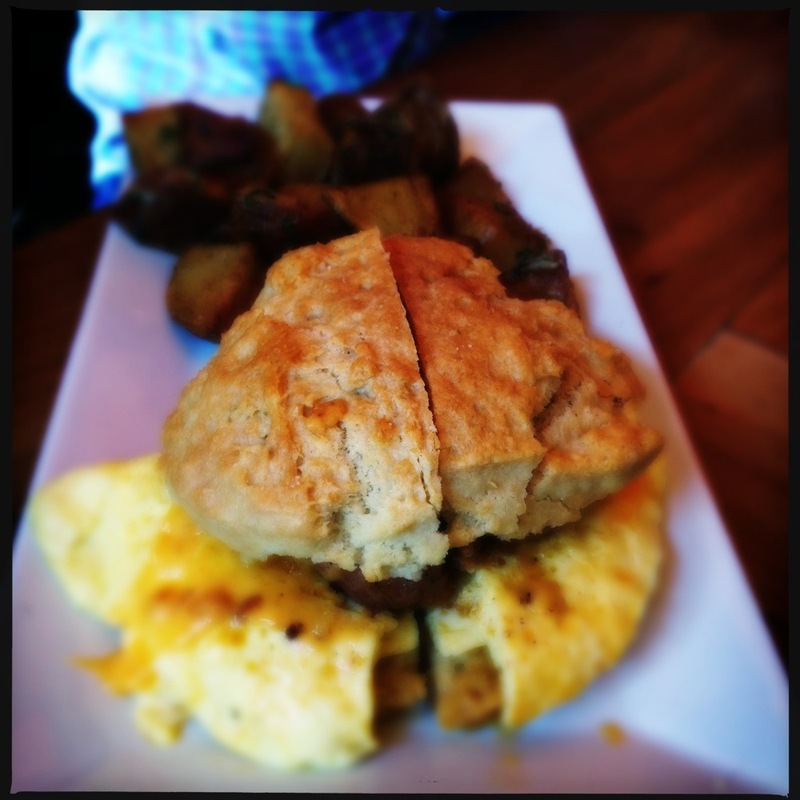 My DH has the Sausage Biscuit with Cheese and Potatoes – Amazeballs potatoes; sausage that tasted like a hopped up Version of Neese’s (this is a very good thing indeed); and a really good biscuit. 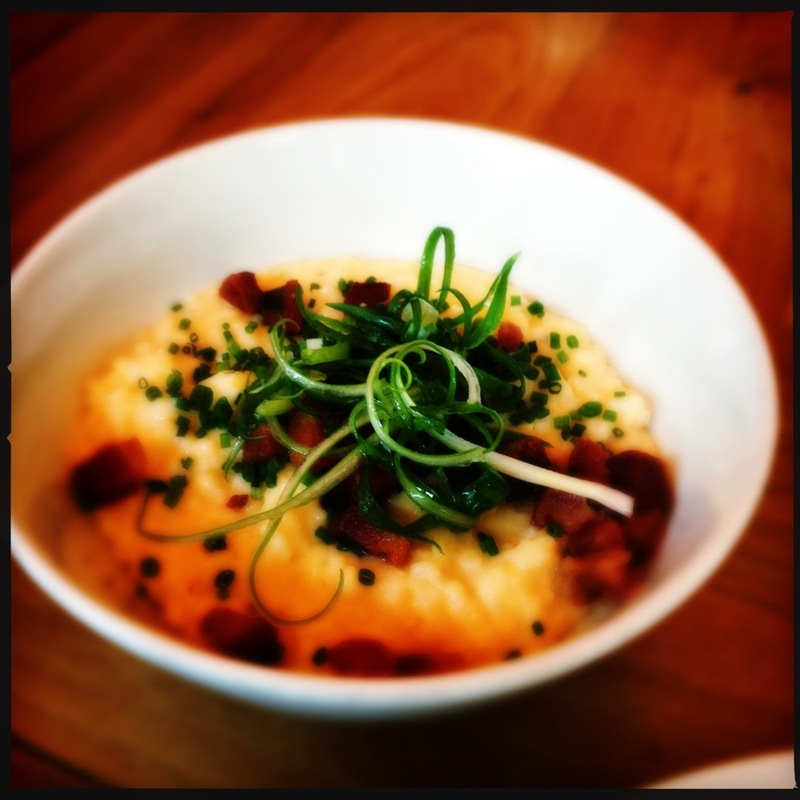 And we split the Bacon Grits – Stellar. Deeply bacony, with just enough scallion to being it home. Knocked it out of the park with this one. Big open windows in the front, lots of wood, inviting. Campy surf punk over the radio (we went on a Sunday early afternoon – if they were playing XM Radio, in time for the surf punk show). It was really busy the day we went and we sat at the bar. The service wasn’t horrible at the bar, but they were busy. Must. Go. Back. 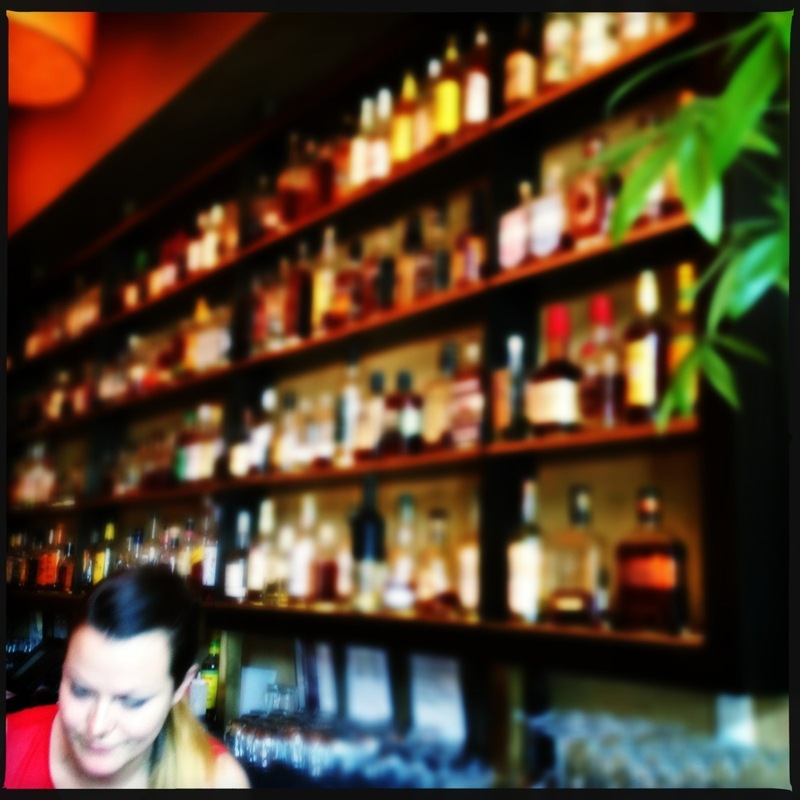 Looks like a great place to explore bourbons – their selection is extensive and their mixers look to be house made. 4.5 out of 5. We need to come back and take our time to get to know the menu and fabulous looking drinks list before we can cement the 5 rating. But, if a rushed brunch while waiting on results from the vet around the corner is any indication, a 5 will be an easy score.